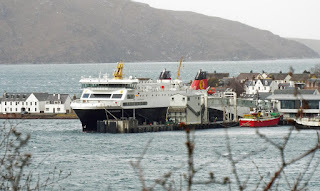 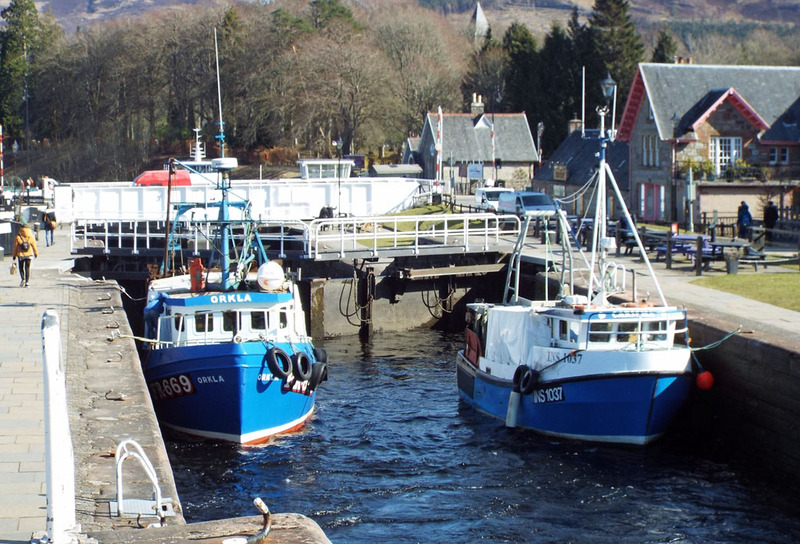 Lewis ferry Loch Seaforth in Ullapool Harbour 21 March 2018. 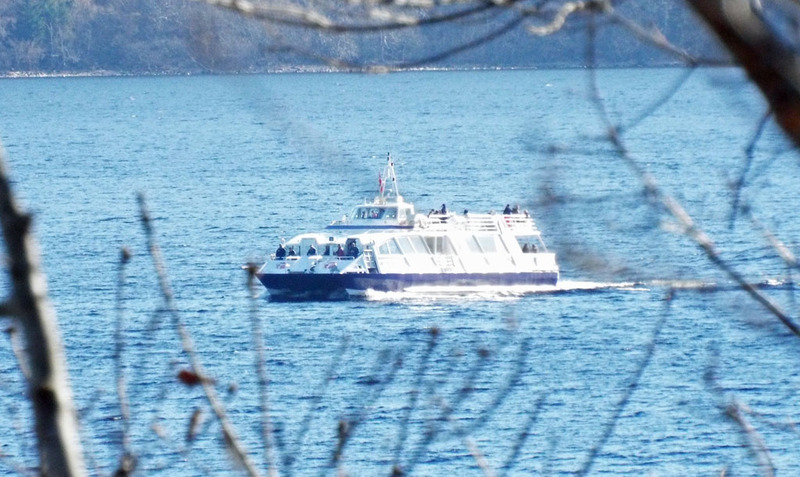 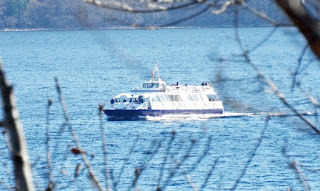 Pleasure cruiser Jacobite Warrior on Loch Ness 20 March 2018. 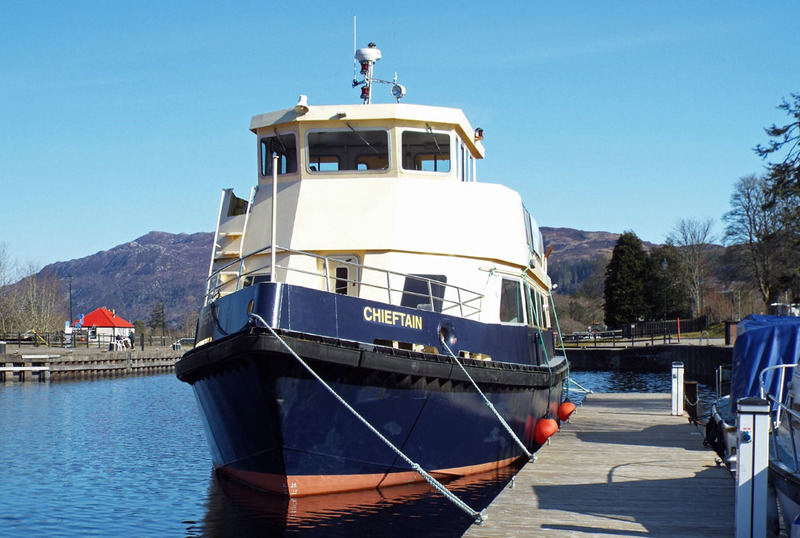 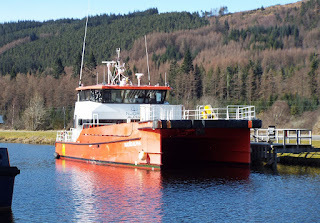 Clyde Marine's pleaser cruiser Chieftain at Fort Augustus 20 March 2018. 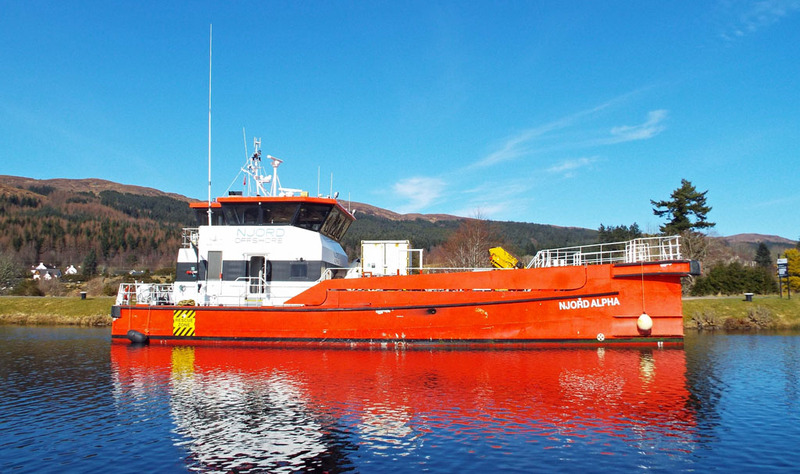 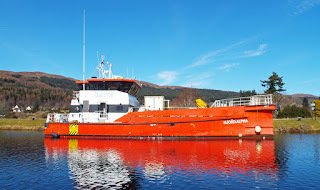 Wind farm support vessel Njord Alpha in the Caledonian Canal 20 March 2018. 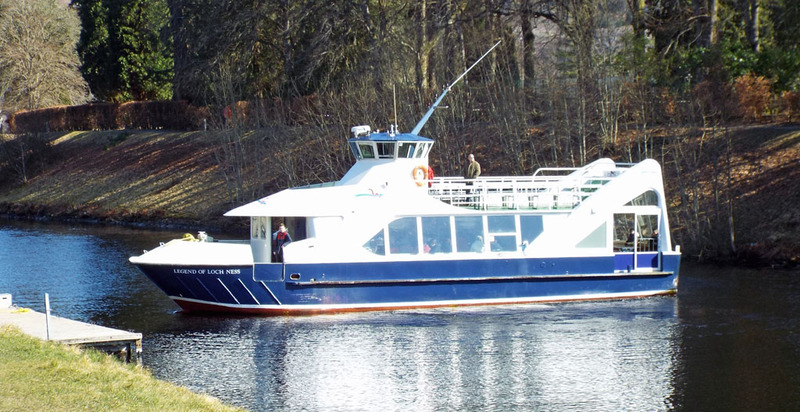 Orkla (FR 669) and Carisma (INS 1037) head south in the Caledonian Canal (which reopened the previous day) 20 March 2018. 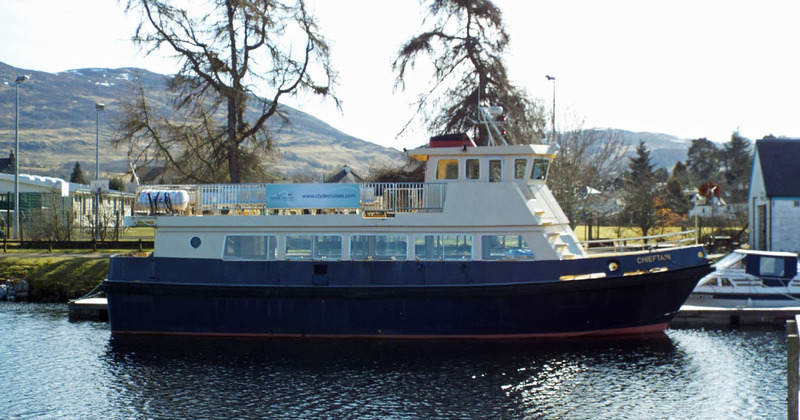 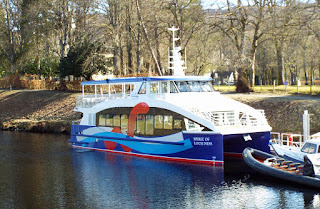 Pleasure cruiser Legend of Loch Ness cants in Loch Ness 20 March 2018. Pleasure cruiser Spirit of Loch Ness at Fort Augustus 20 March 2018.